Honestly, I didn't know what to expect with this event when I joined it. Muffet suggested I take part in it, and I went ahead and gave it a shot. I've heard other people's stories about the GK Enchanted Farm. How it's beautiful and picturesque and the tea is delicious. So I thought why not try travelling alone (even though it's not really that far), leave the city and spend an entire weekend doing something totally different from my usual routine, right? 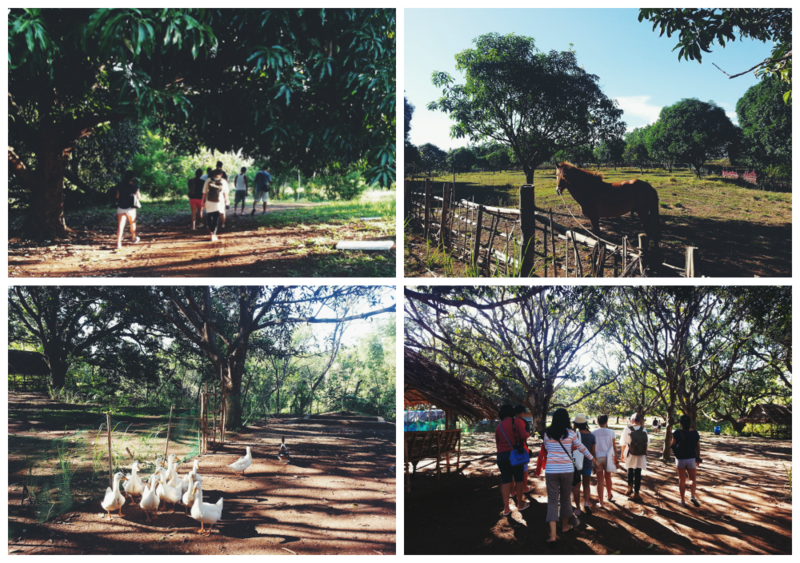 May 17th came, and it started with an early morning road trip (I was part of a group of bloggers invited there) that I vaguely remember (I came straight from work so I was asleep the entire car ride) to what is indeed a beautiful and enchanting farm. 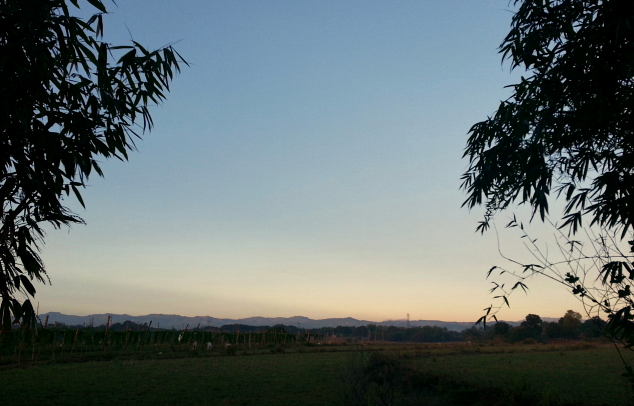 I can't remember the last time I was in a farm! 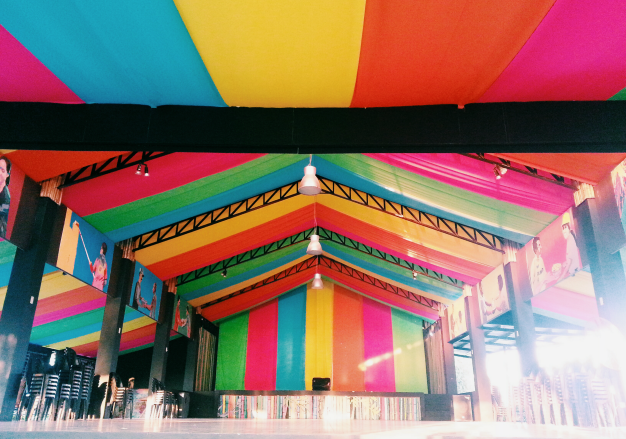 Seeing this place somehow takes me back to my childhood! There were already a lot of people upon our arrival, we were told beforehand that employees from Citibank (700 of them!) will be having their Global Community Day there as well. 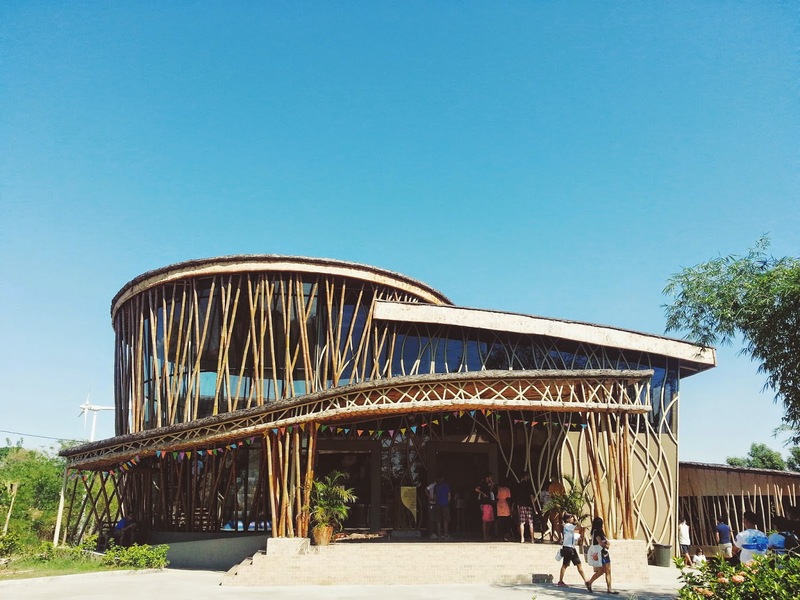 We went straight to the Hyundai Center for Green Innovation which was this beautiful infrastructure which was built using bamboo (among other things)! 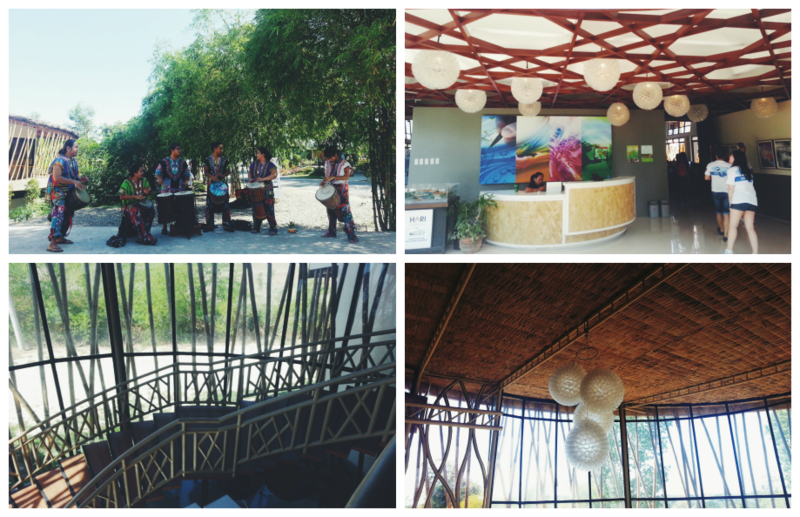 We were greeted by the lively music performed by a percussion pool outside the HCGI. I especially liked the plastic cup chandelier (top right and bottom right photos) that's made with ordinary plastic cups and lit by a LED light bulb in the middle. 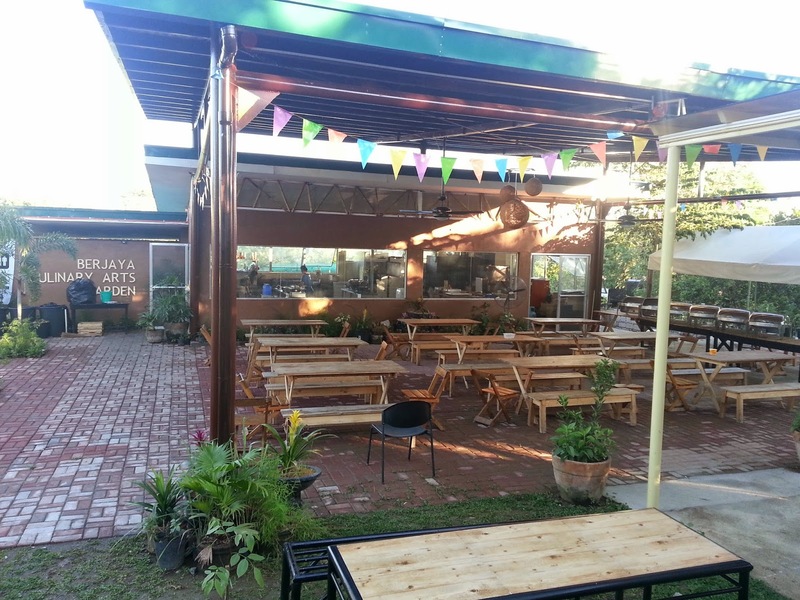 Very, very cool and environment-friendly. We then proceeded to the Human Heart Nature room for a briefing and to decide which product demos each of us would prefer attending. Of course, I chose chocolate and cheese! 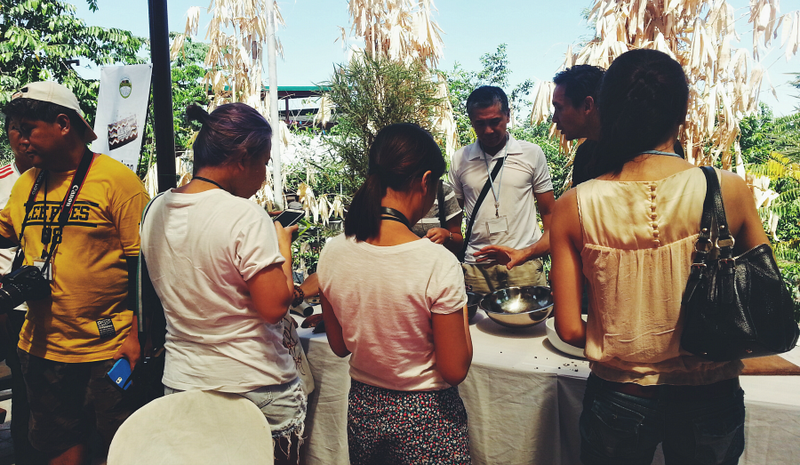 We had the artisan chocolate making demo for our first activity. 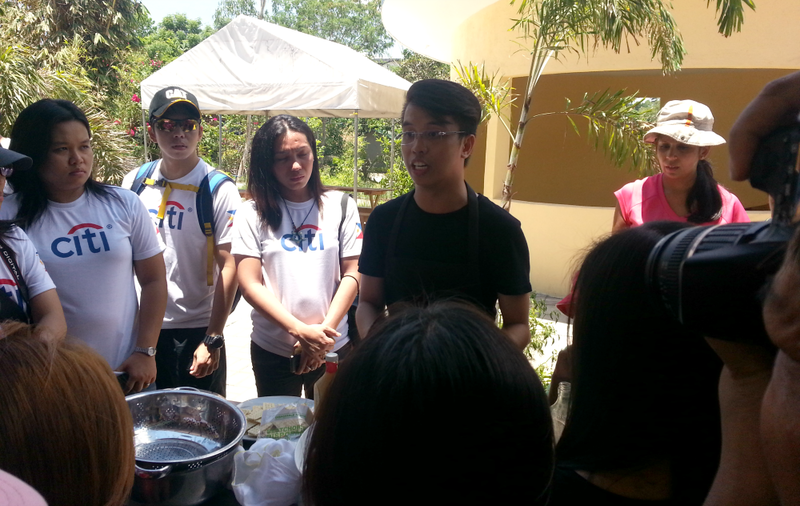 I was so thrilled when I learned that Philo Chua of Theo and Philo was the one conducting the demo. 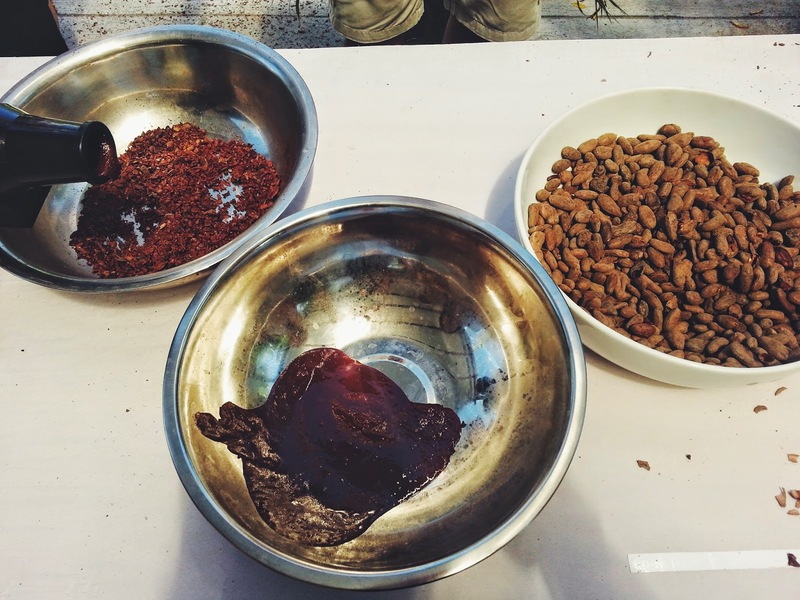 He told us how the business started, some history about chocolates, and he got all science-y and taught us the step-by-step process that cacao beans go through before it becomes our favorite sweet treat, the chocolate. He even had these small scale equipments on the table and a pile of cacao beans to show us the process in more detail. Theo and Philo helps the GK community because Philo actually employs people from the Farm and even supports 5 Agricool scholars! What's great about Philo is that he gives fair benefits to his employees: better wages, paid sick leaves, medical coverage thus making a more stable job than contractual ones. 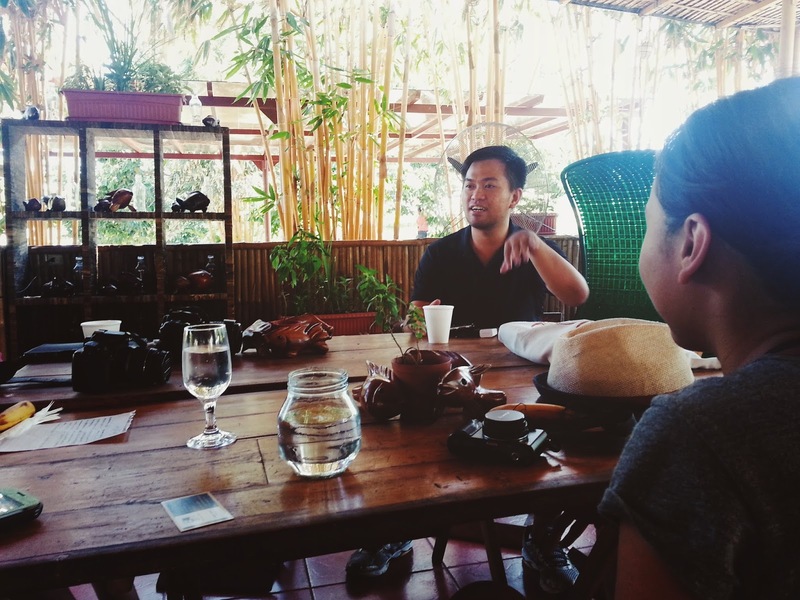 After an hour or so of discussions and questions about chocolates, it was time to have a talk with Gawad Kalinga's founder, Tito Tony Meloto. Time and time again, I've said that I've encountered a lot of inspirational people since last year but I think Tito Tony takes the top spot. He is not just a dreamer but also a doer. 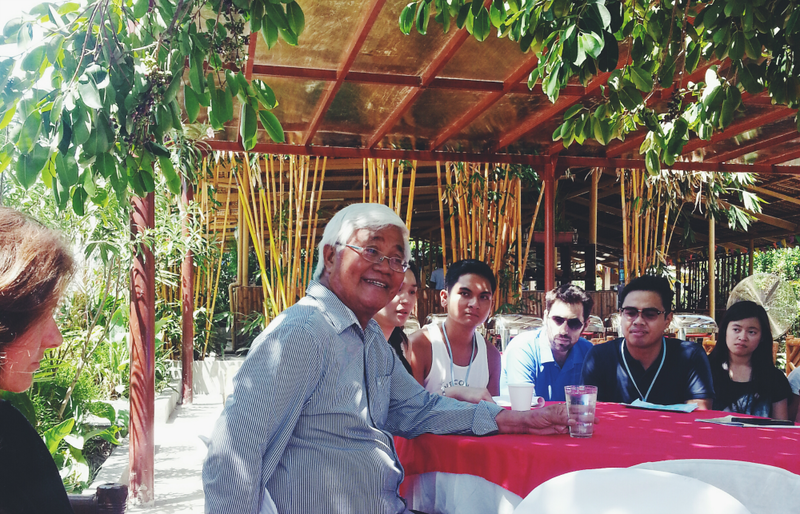 He had a vision, which was to continuously build sustainable communities that will eventually make the Philippines poverty-free. It is, after all, possible because that's what they have been doing in GK Enchanted Farm, and so far, they have been successful. He discussed the beginnings and the struggles of GK Enchanted Farm at first, how these hectares of land that was once a sand quarry site is now transformed to a lush farm that sustains the needs of more than 50 families and how countryside farming is one of the solutions to ensure food security in our agricultural country. The Philippines has so much potential, we just prefer not to see it. Everybody in this country wants to have the American dream. He made a lot of points that always made me go, "Why didn't I think of that, that way?" To be honest, I felt a bit guilty and ashamed, too, knowing that I was born, raised and have been living in this country all of my life, I've never felt that kind of commitment to the Filipino society. I never really imagined myself migrating to another country or working abroad, I am happy here, but the sad thing I realized was that I was in no way giving back or doing any kind of help for this country. 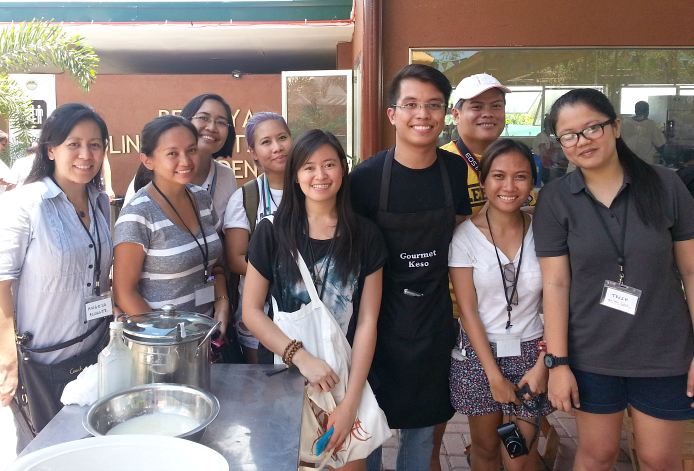 After that very enlightening talk with Tito Tony (that really got me thinking the entire weekend), we went to our next demo, the gourmet cheese-making. Addison Falcon is the one who facilitated the demo. 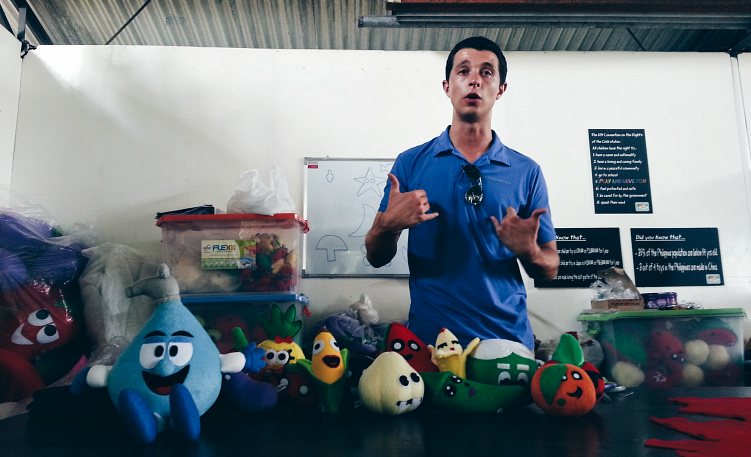 He's part of the recently launched social enterprise (but they started 3 years ago), Gourmet Keso. Addison actually took a sabbatical from his work to pursue working at Gourmet Keso. 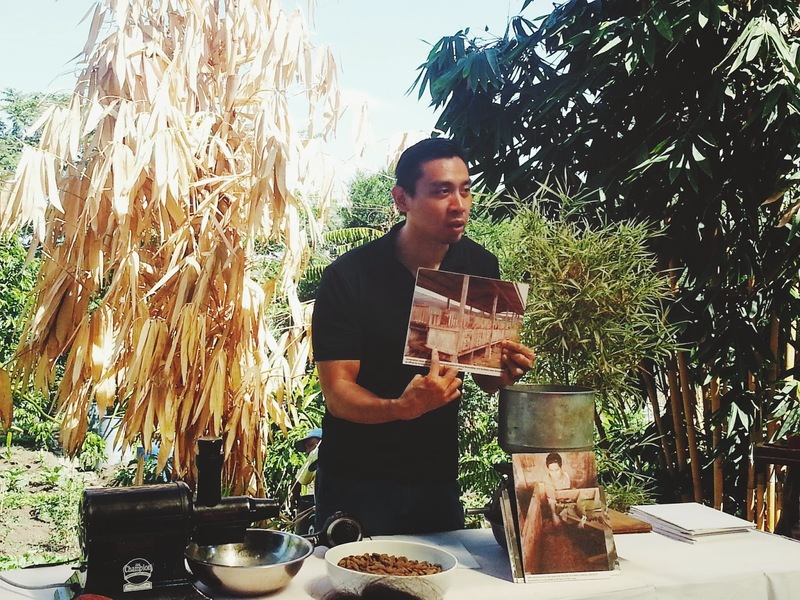 It was originally started by Xilca Alvarez but she had to concentrate on Human Heart Nature, so Gourmet Keso is now handled by Maricel Valderrama. Since Tito Tony encourages only the use of Filipino raw materials, the main ingredient of Gourmet Keso products is fresh pasteurized carabao's milk! Another inspiring individual we met was Fabien Courtielle. What was supposed to be just a 6-month internship here before finishing his last year in a business school in France has now turned to 3 years of stay. He founded the Plush and Play toys. 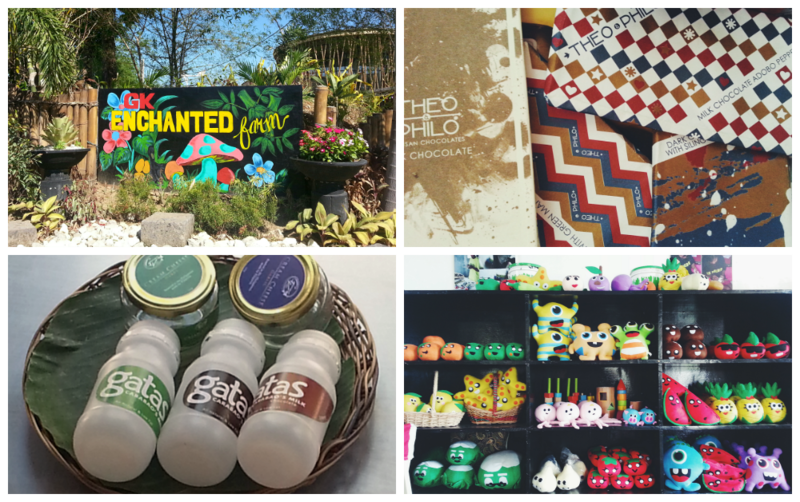 He wanted to create a line of toys which is safe for children all the while showcasing something Pinoy. 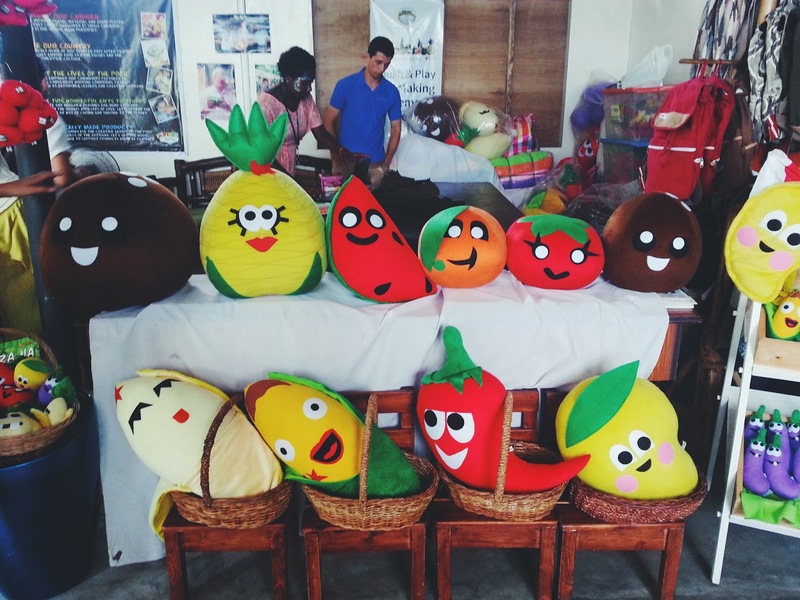 So they came up with these super cute vegetables-themed stuffed toys! With toys' names like Buko Martin, Jessica Saging, Apple de ap, Anne Kamatis and Manny Pakwan, to name a few, no wonder these toys are such a hit. Fabien actually teamed up with a group of mothers from the community who have lost their job in a garment factory before. All the toys made here are hand-stitched. 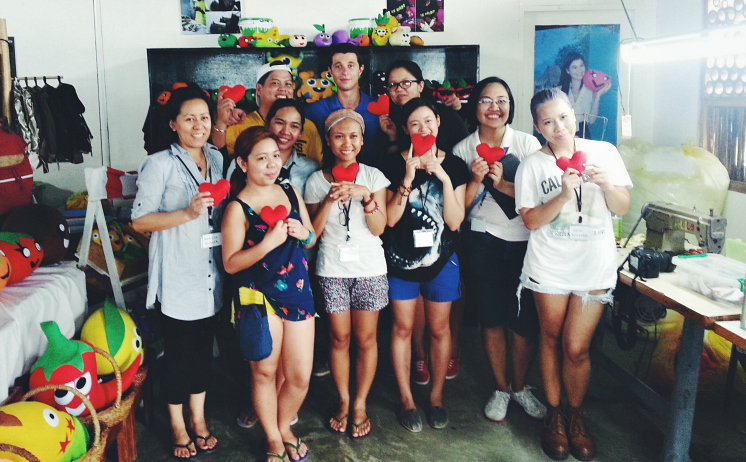 We also had first-hand experience with plush toy making as we made our own heart stuffed toys. My sewing skills (or lack thereof) was put to the test, but I may have a natural knack at using the sewing machine, Tita Fe told me. Hahaha. 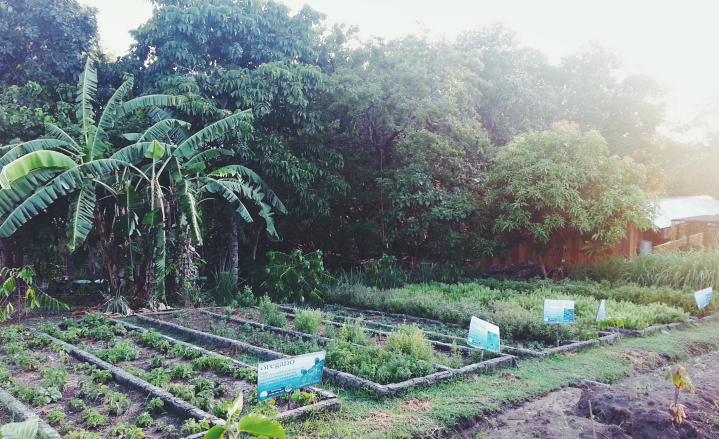 Capping off our day was a (sunset) farm tour with Raf Dionisio. 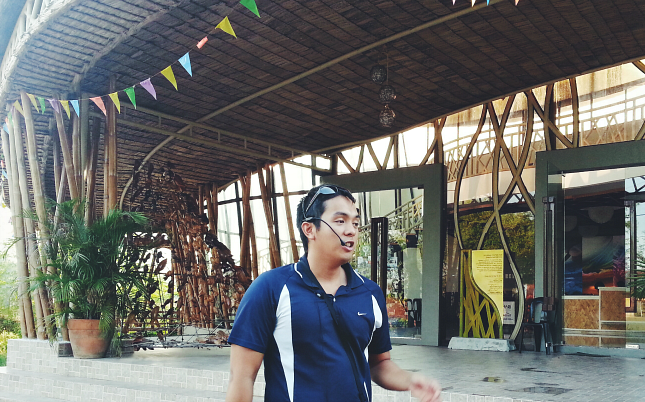 Some of you may now Raf Dionisio as one of the owners of The Circle Hostel. Raf made some very interesting points during the tour. He emphasized on countryside development. 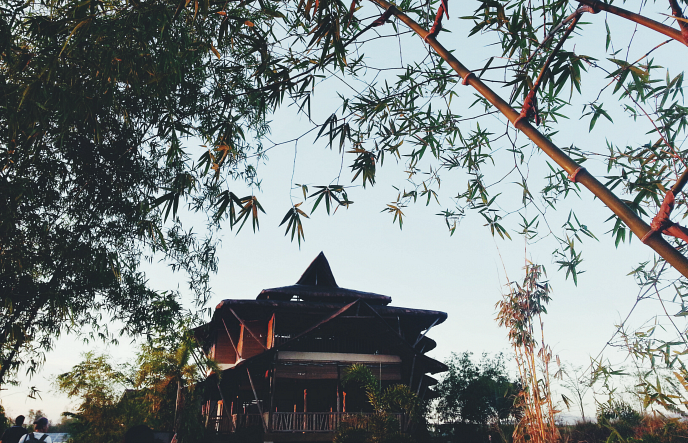 Most people have this thinking that living in the city is always better, but we have to face the fact that the city is not big enough to accommodate and sustain everyone's needs. The Philippines' strengths are in the industries of tourism, construction, BPO and agriculture but it seems like all the others are booming except for the last one which should not be the case because we are a highly agricultural country. Would you look at that breathtaking beauty. You could say that farming is in Cherrie's blood. She was exposed to farming ever since she was little and she was already working with other farmers by the age of 11. 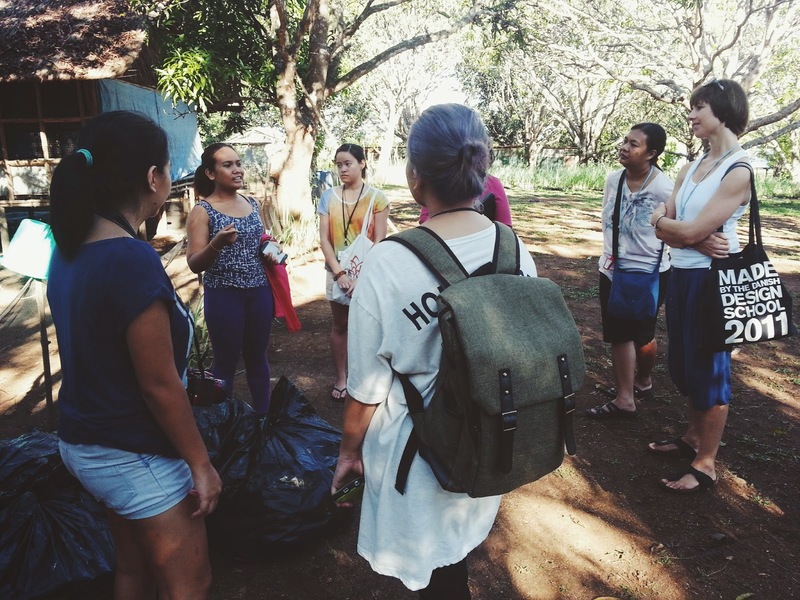 Cherrie told us the different stories of struggles she had when the farm was just starting up. How she would sacrificed her personal safety just for the good of all the members of the community, how she converted the people in the community into real farmers, starting from scratch, as some of them don't know how to read and write. She trained them so that farming would be their form of employment and, of course, source of food. And one more thing to add (to the list of accomplishments she have), she's actually a Fulbright scholar. 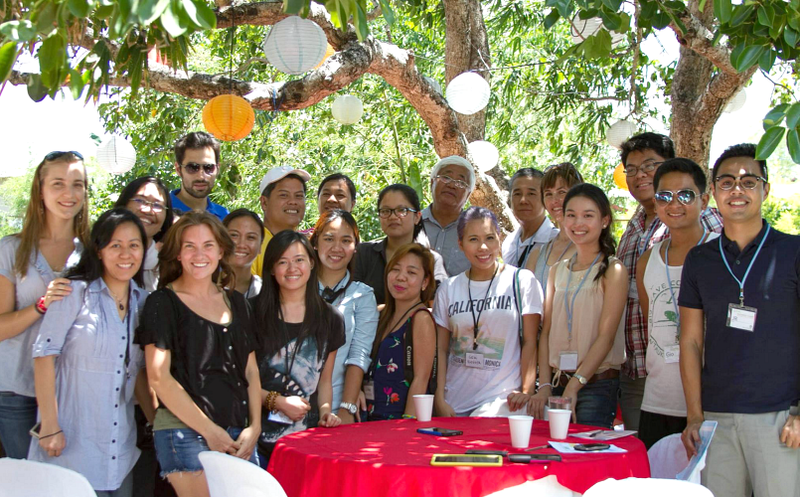 But months before heading to the U.S. for the scholarship, Cherrie volunteered at GK Enchanted Farm and that, let's say, changed the course of things for her. Yes, she gave up her Fulbright scholarship to be full-time part of the Farm. And here she is today, she has challenged the unthinkable, and yes, she has made things happen. For our activity at the farm, we harvested azolla that we fed to the ducks and chickens. Agricool, aside from providing employment to the farmers, is also sending 50 kids of farmers to school. And Cherrie happily told us that all of them are performing very well academically! "Agriculture is not the cultivation of land but the cultivation of man." 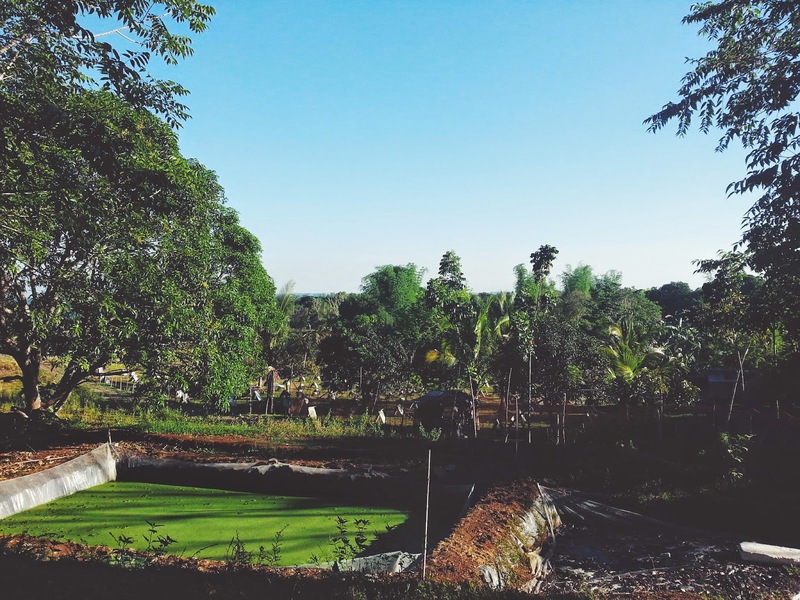 One of the things that Frank Chiu, co-founder and COO of GK Enchanted Farm, said that really made an impact on me was "Give the best for the least." 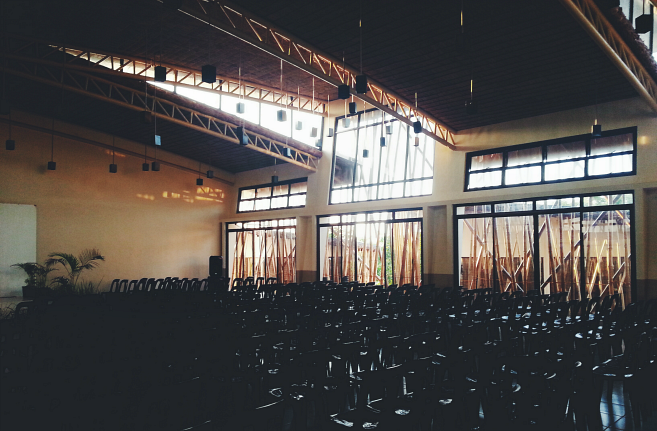 The 2024 target of Gawad Kalinga of eliminating poverty in the Philippines might seem like a long shot to others, but Frank chose to challenge what's perceived by many as impossible. He truly believes that social entrepreneurship is a very effective platform to create a movement that will eventually lead to the complete eradication of poverty in the country. And it's all about proof of concept. 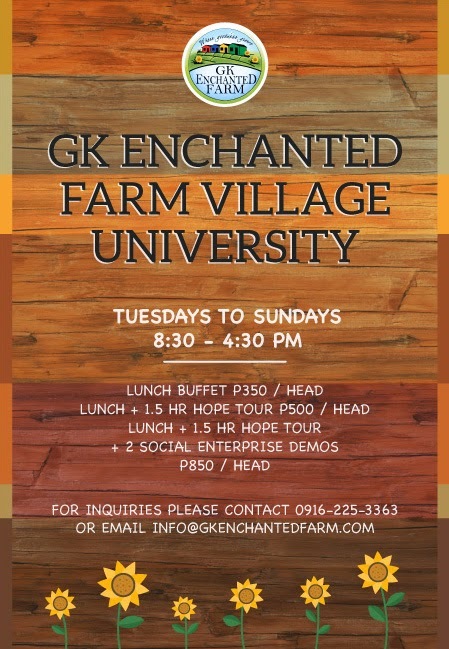 GK Enchanted Farm is enough proof that their innovative model is feasible. 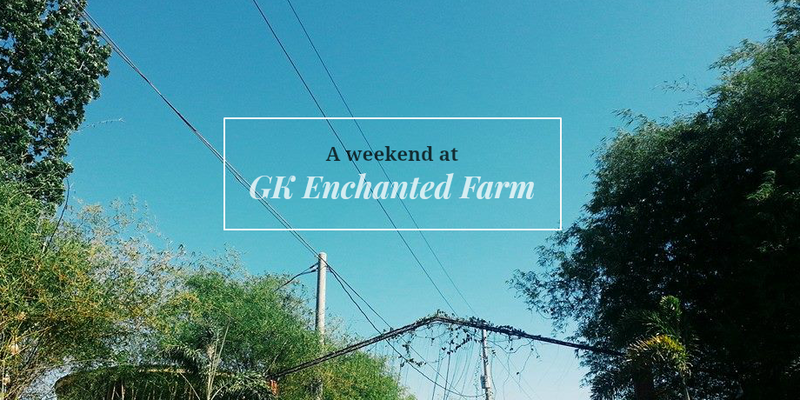 GK Enchanted Farm, he said, also serves as a sort of incubation place. 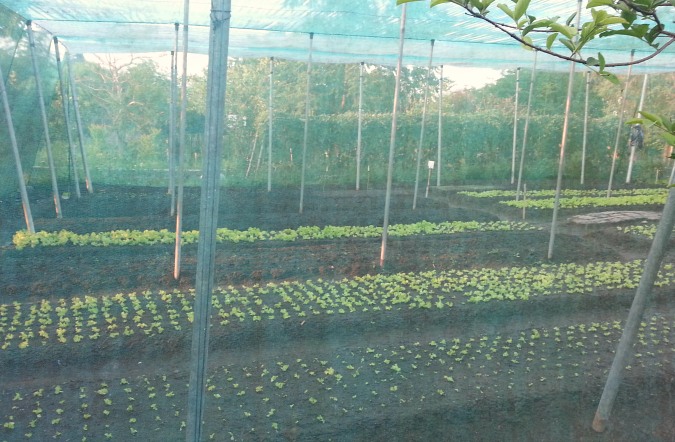 The Farm provides access to capital, access to space, access to network and workforce. When entrepreneurs start a social enterprise, they use raw materials that are grown locally, thus, helping our farmers. They generate profit, build their brand and market base while improving other people's quality of lives. That's the true meaning of social entrepreneurship, doing business and making social changes. A day can change a lot of things. 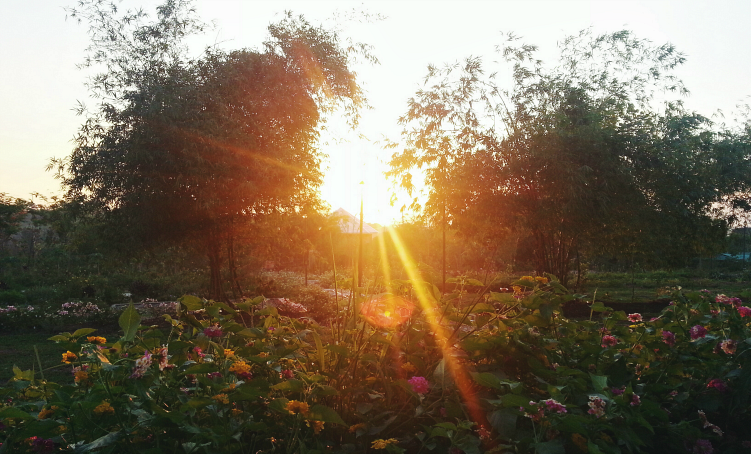 What I thought would be just a weekend getaway turned into an eye-opening experience. I realized how passive I have been in regards to this issue. I'm now aware of the fact that even though I have no intentions of living in another country because I'm perfectly fine where I am, I also am not participating in any way in helping the society, not contributing anything to make changes. I don't complain about the things that are wrong in our country but I also don't do anything about it. I was truly moved by this experience and inspired by all the self-sacrifices and personal choices these people made to create this movement for the betterment of the poor. This event planted a seed of consciousness in me that everyone has so much potential to help and give back to those in need. 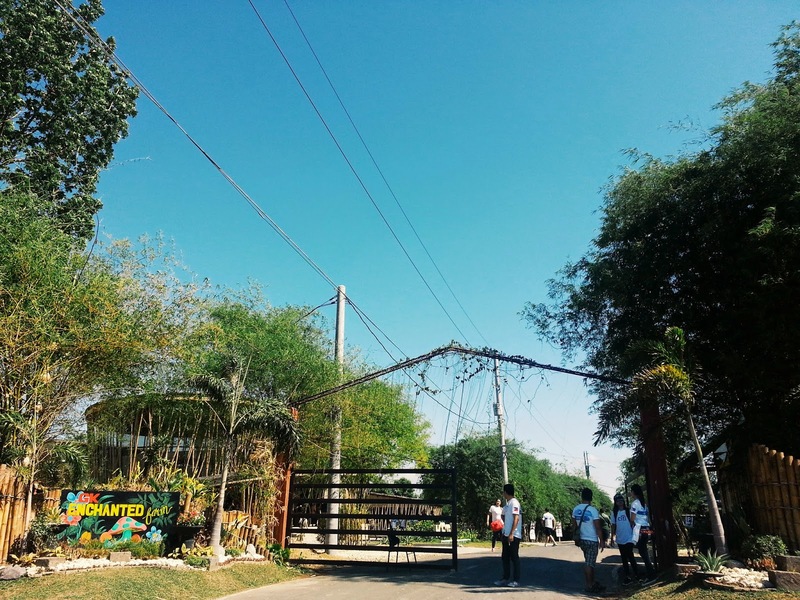 If you're interested in experiencing a unique and enriching getaway alone or with your family and friends, please do pay GK Enchanted Garden a visit. It's absolutely fun and worth it. If you're thinking of jump-starting a Pinoy brand that will both benefit you and the rest of the country, let the resident social entrepreneurs from the Farm teach you techniques and answer all your questions about beginning a social enterprise. Updated schedules of their summer camps (Kids, Teen Career, Start-up and Social Business) are available at their Facebook page.